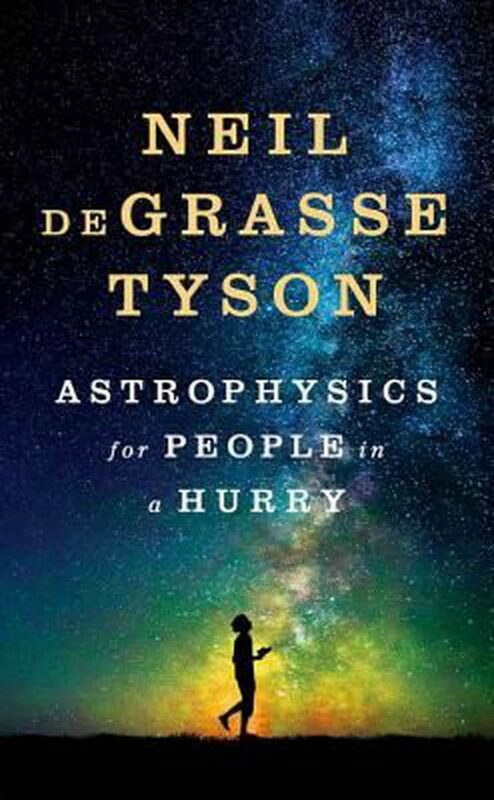 Astrophysics for People in a Hurry By Neil deGrasse Tyson, W. W. Norton & Company, 2017, 224 pp, $18.95. Astrophysics for People in a Hurry, Neil deGrasse Tyson, director of the Hayden Planetarium in New York City, explains what we know about the cosmos and what still eludes our understanding. You’d be hard-pressed to find a better tour guide through the universe than Dr. Tyson, who has made a name for himself as a scientist with a gift for making astrophysics accessible to the masses. The 12 chapters of this slim volume are adapted from essays that originally appeared in Natural History magazine between 1997 and 2007. Some of Dr. Tyson’s best writings cover the universe’s beginnings. In the first 10-43 seconds — that’s one ten-million-trillion-trillion-trillionths of a second — of the universe’s existence, nearly 14 billion years ago, all matter and energy was confined in one hot, dense, tiny point. Almost immediately, the universe started to expand and cool. 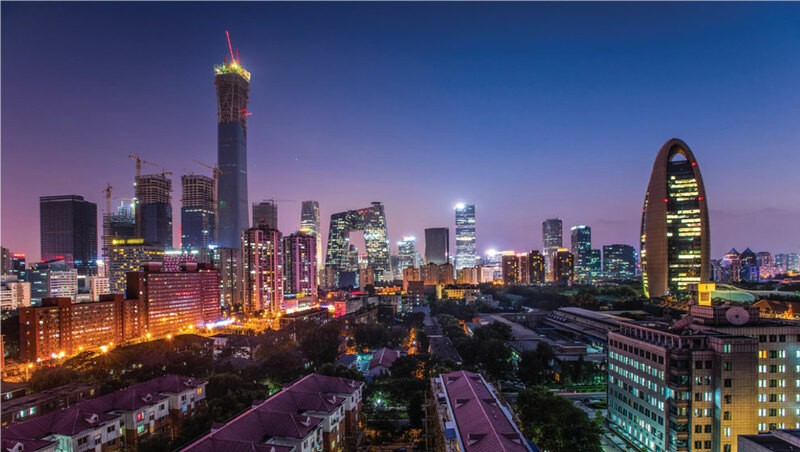 During the first one second, there was constant interplay between matter (in the form of subatomic particles) and energy (in the form of photons, or massless packets of energy that transmit light). It was so hot that photons were spontaneously converting their energy into matter-antimatter particle pairs, which immediately collided with each other, leading to their mutual annihilation and a return to the photon state. Soon, the temperature cooled enough that this type of spontaneous particle creation ceased; photons no longer had enough energy to transform into matter, so matter-antimatter pairs kept annihilating without being replaced. Somehow, slightly more matter particles than antimatter particles had been created: one billion and one matter particles for each one billion particles of antimatter. This imbalance was good news for us; otherwise, each matter-antimatter pair would have collided and left nothing but photons behind, which Dr. Tyson calls “the ultimate let-there-be-light scenario.” As it happened, there were extra matter particles without any anti-matter particles to collide with; these extra particles survived and went on to form the stars, planets and people. By the time one second had passed, the universe was several light-years across, the temperature had cooled to one billion Kelvin (about 1.8 billion degrees Fahrenheit), and the first protons and neutrons had formed. Over the next several minutes, protons fused with other protons and with neutrons to form atomic nuclei. For the next 380,000 years, these nuclei coexisted with free electrons in a hot, glowing plasma. Photons of light were constantly reacting with and being scattered by the roaming free electrons, so light was trapped and the universe was a bright, opaque fog. One consequence is that even if we had telescopes that could see far enough away — that is, far enough back in time — to reach the first 380,000 years of the universe’s existence, we wouldn’t be able to see anything but light. When the universe was around 380,000 years old, the temperature fell below 3,000 Kelvin. This drop in temperature slowed the speed of free electrons just enough for them to be captured by passing nuclei, forming the first atoms. Photons could now travel freely through space without colliding with free electrons, and the universe became transparent. During the first one billion years, stars and galaxies formed as clouds of gas and dust drew together under the force of their own gravity. Heavy stars — those with masses greater than 10 times that of our sun — have sufficient pressure and temperature in their cores to manufacture, via thermonuclear energy, dozens of different elements heavier than hydrogen, including the building blocks of planets. When heavy stars explode, those elements are released. About 4.6 billion years ago, our sun was formed from a gas cloud that contained some of these heavy elements. The elements coalesced to form an assortment of orbiting stuff, including rocky planets, gaseous planets, asteroids and comets. Over the next several hundred million years, space debris in wayward orbits collided with the larger bodies in our solar system. The violent collisions kept the surfaces of the rocky planets molten and prevented the formation of complex molecules. Eventually, there was less space debris to collide with the planets, and the planets cooled. One of them was just the right distance from the sun for its surface water to remain liquid instead of evaporating or freezing. Life formed in these waters and eventually evolved into human beings with brains big enough and curious enough to ask how the universe got its start. Dr. Tyson says, “The universe is under no obligation to make sense to you.” This is a humble perspective that appropriately reminds us of our insignificance and mental frailty when faced with the complexity of the cosmos. That being said, the universe will probably make a little more sense to those who read Dr. Tyson’s book. Julie Lederer, FCAS, MAAA, works for the Missouri Department of Insurance, Financial Institutions & Professional Registration.